The Fisherman’s Memorial in Cape May NJ. This entry was posted in Cape May, Fisherman's Memorial., Winter VIsit on February 22, 2013 by Ryan Reclaim. This entry was posted in Cape May, NJ, Sandy fallout and winter weather send some seniors to a home away from home on February 18, 2013 by Ryan Reclaim. Looking for fun and unique things to do in Cape May for Valentine’s Day as a couple. It’s that time of the year again, and your at a loss of things to do for this year’s Valentines Day. Why not take a day trip or spend an overnight in Cape May to relax and celebrate your partnership. Cape May offers the best in accommodations, great restaurants, uncrowded shopping for unique gifts and outdoor activities. 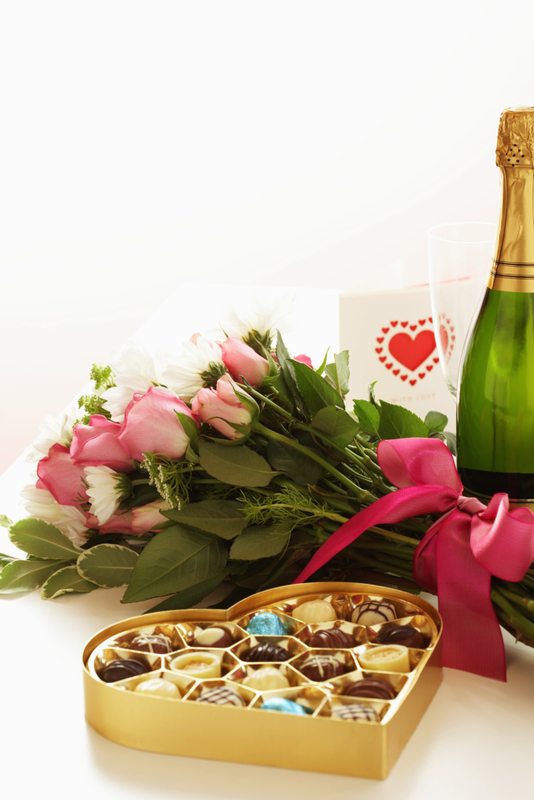 Here’s a quick list of suggestions to do for this upcoming Valentines day in Cape May. 1. Come experience the most fun you can have in Cape May while visiting one of the many Cape May Wineries. You can take a tasting tour, and check out the premium award winning wines while enjoying some snacks or a delicious piece of chocolate from Louisa’s in Cape May. 3. Go shopping with your significant other at West End Garage in Cape May , you can also check out the Washington Street Mall in heart of historic cape may which includes a plethora of fine shops, don’t forget to pick up a new “rubber duck” for your bubble bath at Bath Time. 4. Are you looking for some fresh air and a romantic adventure? Check out the Cape Map Point lighthouse, you can walk to the top for some great views, and then stroll the beach at Sunset Point looking for a Cape May Diamonds or arrowheads. 5. Come to Cape May and take a romantic ride on a Cape May Horse drawn Carriage. Don’t forget to bundle up for the invigorating ride as your tour the Cape May Historic area and get dropped off at your favorite hotel or bed and breakfast to enjoy a cup of tea. 6. Pick you fire place to bundle up to and bring a good book. There’s nothing like sitting in front of warm fireplace listening to the crackle of the wood and feeling the heat of the flames as you relax. Pick you favorite Cape May accommodation and relax, we prefer the fire place in the Blue Pig in Congress Hall, The Brown Room Cape May Fire Place, and the Fireplace in the Virginia Hotel on Jackson Street in Cape May. 7. Make a reservation for a fantastic Romantic dinner in uncrowned Cape May during February. Cape May has a surprising number of unforgettable restaurants’ open for Valentine’s Day. Spend a warm romantic evening at a Cape May Bed and Breakfast or Hotel and enjoy an elegant dinner in town with your partner. 8. Spoil your partner with gifts and a surprise with handmade Jewelry from a local Cape May merchant. One of my favorite things to do for Valentine’s Day is to mark the day and the beginning of the New Year with a special gift for my loved one. Cape May offers a number of high end shops offering one of kind custom jewelry. We highly recommend Patricia Jackson’s in Cape May located on 414 Bank Street. The service is impeccable, they will always offer to clean you jewelry as you shop and all of the jewelry offered is truly one of kind. They will even personally deliver your gift to your hotel for you, if you would like to keep it a surprise, as I have tested this on several special occasions. 9. Cook Together and Stay Together…How often do you and your spouse Cook Together? Almost never as usually one person does the cooking and the other cleans up. The main benefit of cooking together is the bond created as you prepare the meal together; you spend time together as you prepare your romantic dinner. Why not visit the Louisa’s for some homemade desserts and Cape May Cheese company for the appetizers’ and plan a romantic meal to prepare together this year. 10. Spend the day together at a Day Spa, plan a pampered day and relax and rejuvenate yourself with massage, a facial or manicure and pedicure. Cape May offers a number of Day Spas to help plan a relaxing event with your spouse. Here is a brief list of a few Cape May Restaurants available for Valentines Week End, please call for reservations. The Washington Inn Restaurant – Cape May, NJ – OPEN SATURDAYS THROUGHOUT THE WINTER! The Washington Inn is nestled on tree-lined Washington Street in the heart of the Cape May Historic District. Built in 1840 as a Plantation home, the Inn has undergone few changes since its original owners. Today the Craig Family specializes in gracious dining and truly romantic weddings all year around. The Washington Inn offers five unique dining rooms, from summer patio dining to a cozy fireside table. Rediscover the newly renovated and re-imagined the Ebbitt Room restaurant located in the heart of the historic district in Cape May. Executive Chef Anthony Micari hones a Farm-to-Table, Farm-to-Glass philosophy featuring the freshest ingredients from our very own Beach Plum Farm. Be delighted by a dining experience where artisanal cocktails, farm-fresh classic American cuisine and a sophisticated, yet casual vibe create the perfect setting for a new Cape May tradition. Lucky Bones- On Valentine’s Day choose from various Blackboard Specials all day long. Please make reservations for parties of 8 or more. Call ahead for seating or specific details at (609) 884-2663 or visit www.luckybonesgrille.com . Hemmingway’s- We provide a unique menu on Valentine’s Day. Reservations are recommended, but not required. Please call (609) 884-5611or visit www.hemingways.com . Call early for the Washington Inn as they will book fast. Click here to Save in Cape May – Save Money while visiting Cape May, check out our local Cape May Saving Coupon promotions. You can click here to print off the coupon or simply show your local Cape May Merchant your coupon on your smart phone, iPod or tablet. Cape May Mobile Site – Tired of Pinching and Zooming on your Smart Phone for Cape May information. We now have a Cape May Mobile site that is compatible with your mobile phones browser for iPhone, Droid, Blackberry, and Windows Mobile Phones. Our your next trip to Cape May you can use your Smart Phone to access all of the best that Cape May has to offer. To book this package, please call 800.732.4236. AVAILABLE FEBRUARY 1 – 28, 2013. This entry was posted in cape ma, Cape May, Cape May Accommodation Availability Listing, cape may new jersey, cape may valentine, commerce nj, jesey, may events, Victorian cape may on January 7, 2013 by Ryan Reclaim. This entry was posted in Cape May, Christmas Gifts for Girls on December 22, 2012 by Ryan Reclaim. The Last Christmas In America, Cape May? This entry was posted in Cape May, The Last Christmas In America on December 22, 2012 by Ryan Reclaim.